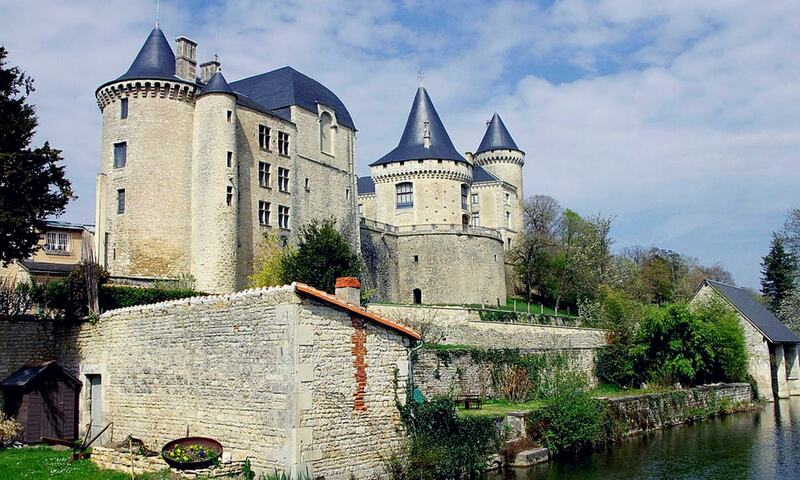 Castle of Verteuil is generally considered to be one of the finest castles in the Charente region. 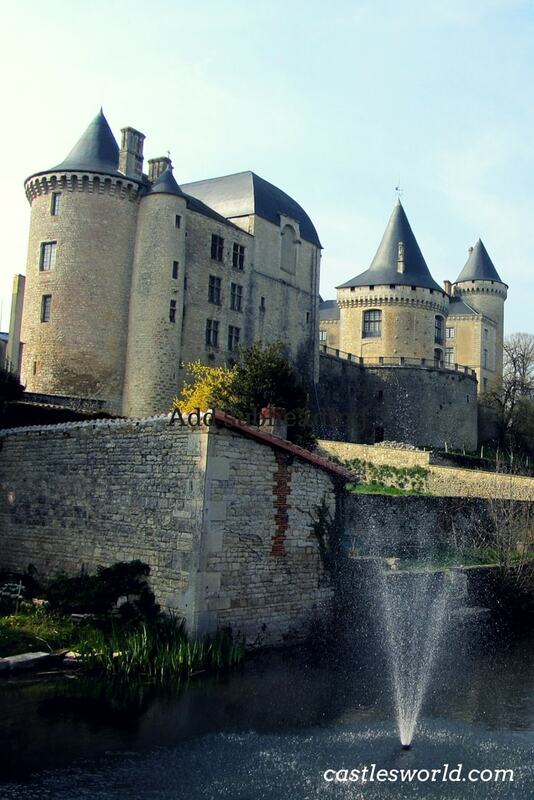 It is located in a strategic position, dominating the small village of Verteuil-sur-Charente and the Charente valley. The word Verteuil was used in the Middle Ages to designate a fortified place. Although the castle was first mentioned in the late 11th century, the present structure largely dates from the 15th century when it replaced an earlier 12th-century castle in the same location; nevertheless, the square keep that can still be seen today is part of the medieval building. The first fortification on the site was built in 1080 by the Lord of La Rochefoucauld, and the castle has always belonged to a member of this family ever since. The castle has been extensively rebuilt in the 12th century but it was demolished in 1442 during the Hundred Years' War when it was occupied several times by the English. It was again rebuilt using only the original stones. In the religious wars of 16th and 17th centuries, the castle was under attack from royal troops which caused extensive damage. During the French Revolution, the castle was again under fire. Finally, it was renovated in the Romantic style after the Bourbon Restoration of 1815. More modifications and beautifications were added in the second part of the 19th century. During World War II, the chateau housed French troops and refugees and even members of the French Resistance (the Maquis) who have been hiding there in the latter parts of the war. The present castle displays five conical towers and a watchtower, all capped by slate roofs; the square keep is the only part that remained of the 12th-century structure. The largest tower is the medieval gatehouse, while the isolated tower on the eastern side houses a library on two floors. An attractive park was designed around the castle in the 19th century; it was redesigned in the latter part of the century, enclosed in dry stone walls with several entrances. One of the interior rooms used to contain a tapestry called the Hunt of the Unicorn. This tapestry was sold to John D. Rockefeller Jr. in 1923 and it is now displayed in the Rockefeller Center in New York.